Trinity Designs: I Got Happy Mail! Wow! Lookie at what came in the mail for me today! This gorgeous card from a very dear friend - if you are reading this, you KNOW you are! MWAH! It was so pretty, I just had to share - I hope you like it too! I've been stamping quite a few things since Saturday, but they won't be ready until Thursday, so tomorrow, check back and I'll show you some of the wonderful Birthday Cards I got from friends all across the country! happy birthday again my friend. 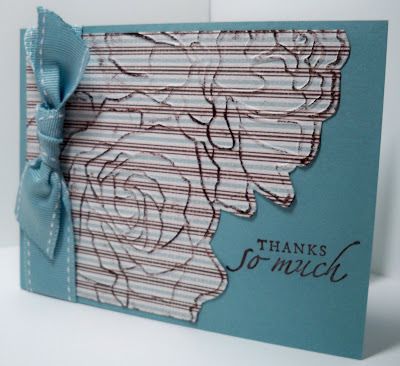 This is a beautiful card.. Who is the mystery artist?